Well, here is that second rainbow card I promised you. Quite a bit different from the first one. I used the same colors in my rainbow to make the rest of the card. Even though this is a really bright multicolored card, it all works together somehow. I think the red is the unifying color. I showed you the rainbow and cloud dies yesterday. 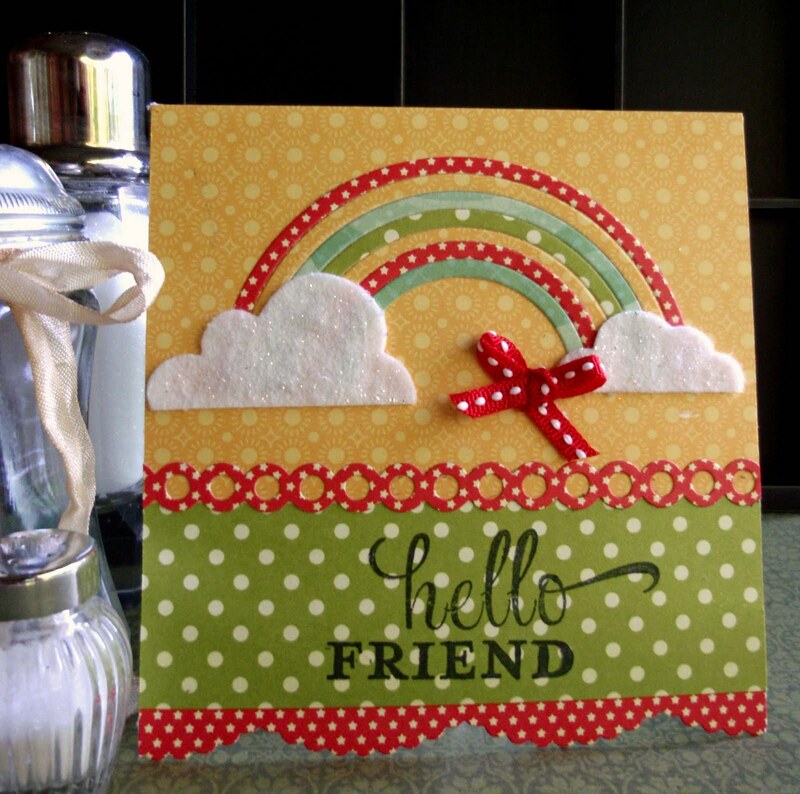 This card has the addition of two more MFT Stamps dies. Both are becoming fast favorites. The very bottom of this card uses the Scalloped Scallop Die and the die used in the middle of the card is the Dainty Dots Die. I think a rainbow made from vintage paper will be next on my idea list. But tomorrow I will be back with a project that uses a die you haven't seen before. And if you like that large Hello Friend stamp, it is from PaperTrey Ink - another of my favorite stamp and die companies.